We have started the WP CAMP season! Indeed, in the final we have seen the duel between CN Sabadell and Atlètic-Barceloneta, with Miguel, Chus and Mario on the bench. It’s been very exciting! 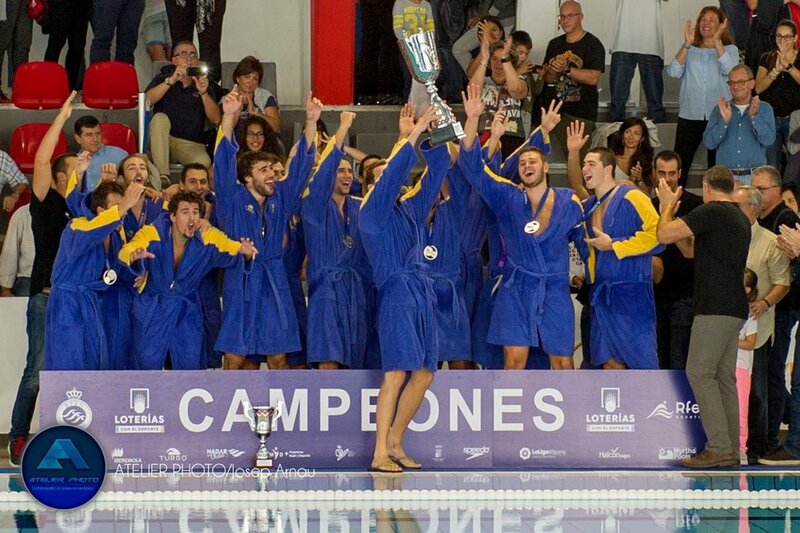 Atlètic-Barceloneta has clearly won Sabadell by 05 to 12, so the team from Barcelona have added its 12th Spanish water polo Super Cup. Congratulations dear friends! WP CAMP is already working in all our water polo events for this season 2016-2017. The first date on the agenda will be from 28 to 30 December in Buitrago de Lozoya, with the second U14 mixed tournament WP CAMP in Madrid. We have already received the first pre-registrations for a competition that aims to bring together more teams from Spain and foreign European clubs. There will be three days of top level competition which also will promote coexistence among players from all over the country. A great opportunity for the teams to play an intensive water polo tournament during the Christmas holidays. But the big WP CAMP news will come in 2017. In addition to changing the swimming pool of the third U14 mixed WP CAMP Tournament in Bizkaia (in the next Easter the event will be held in the facilities of the CN Askartza) we are working to release a new tournament. There will also be surprises on our water polo camps. In the coming weeks we will inform about all the news. Our goal is to remain being the leaders in water polo events in our country. We encourage you to be aware of our social networks!